The EVOBLISS project is part of the cluster of projects funded by the E.C.’s Future and Emergent technologies proactive on evolving living technologies (EVLIT). The challenges addressed by this call is to explore the potential of the computational and self-adapting properties of living organisms for future ICT technology because these properties of living organisms are superior to what can be found in today’s ICT technology. 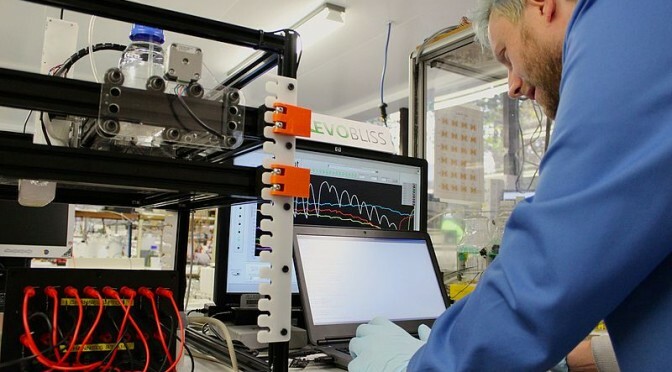 In the EVOBLISS project the focus is to take a radical step forward in exploiting living organisms for the purpose of energy production by advancing the state-of-the-art of underlying technologies of microbial fuel cells. An overview of the objectives of EVOBLISS and the relationship between them can be found in in Figure 1. A more detailed description of the objectives can be found here. Figure 1 – An illustrative overview of the objectives of the EVOBLISS project. At the top the developed EvoBot lab automation platform is shown. 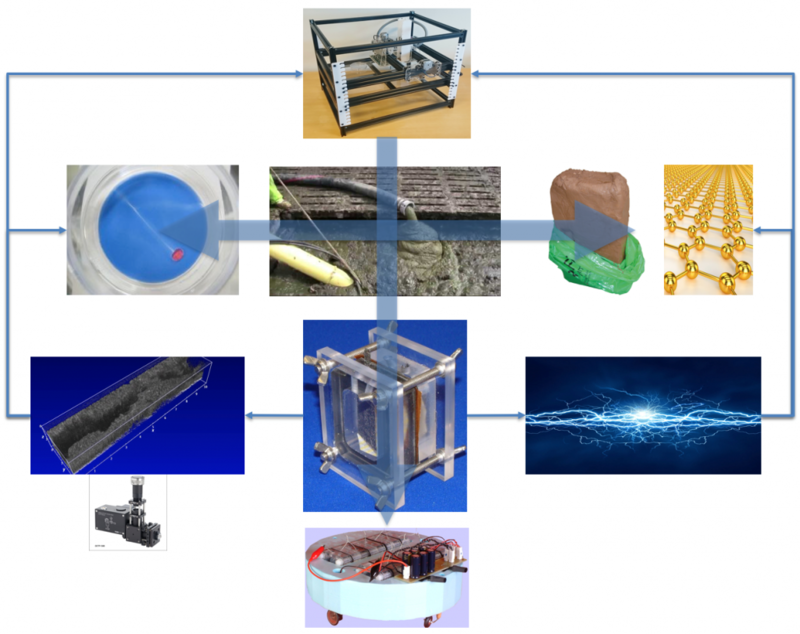 This platform was to automate experiments related to the topics of artificial chemical life, composition of carbon-energy sources for microbial fuel cells, and the materials composition of microbial fuel cells (illustrated in the second row). The usefulness of the results from this work was to be evaluated in microbial fuel cells using power output as a metric together with visualizing the biofilm inside microbial fuel cells using advanced imaging techniques (illustrated in the third row). A final objective was to evaluate the improvements made to microbial fuel cells by powering the EcoBot with the new microbial fuel cells and compare to earlier iterations.